Dubai: The management of Dubai’s Al Khail Gate has notified tenants that the supply of steel LPG cylinders will be banned in the community from December 15 to facilitate the introduction of composite cylinders. 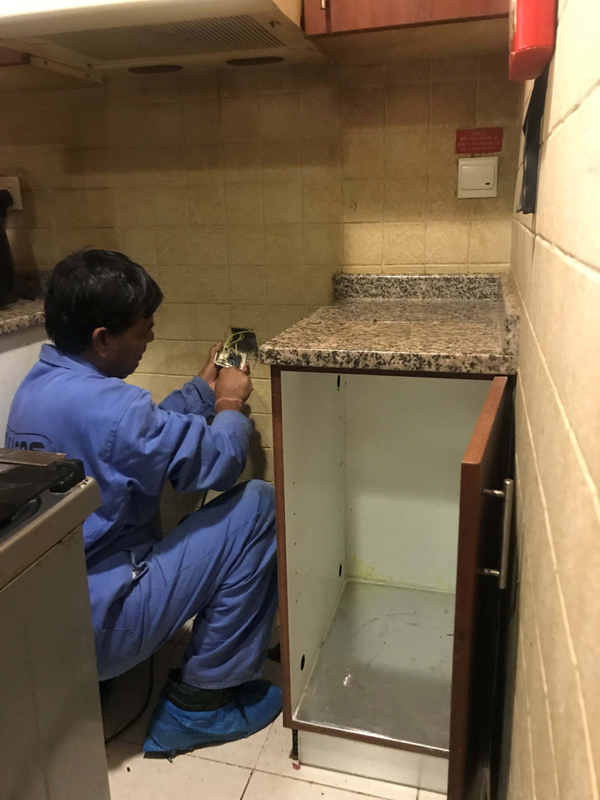 Developed by Dubai Asset Management (formerly Dubai Properties), the residential community of 9,000 apartments in Al Quoz is the first to switch to composite LPG cylinders after a deadly blast in August 2016. Caused by a gas leak in an apartment, the blast killed an elderly woman, severely injured her daughter and destroyed their apartment. Following this, the developer announced a ban on the use of steel LPG cylinders and plans to introduce composite cylinders. “As of December 15, 2018, steel LPG cylinder distributors will be prohibited from entering the community. So in case you have not registered already for the LPG composite cylinders, we encourage you do to so to avoid any disruption by visiting https://communities.emiratesgas.com and apply for a new connection,” the management said in a notice to tenants last Thursday. Gulf News has learnt that ordinary cylinders will not be allowed beyond this date in buildings in both phases of the community. The previous deadline to register for the new type of cylinder was August 30, 2018. The management has partnered with Emirates Gas to supply the cylinders, saying that a single supplier offers a better safety and monitoring system. Generally made of helically woven fibres, combined with resin, the composite cylinders are believed to be explosion-proof as they can withstand a burst pressure that is twice as high as that of conventional metal cylinders. In an earlier notice, the management announced that the registration fee will be Dh350 plus VAT. “This fee includes registration, one regulator and one filled in cylinder. If you return your current empty cylinder that you are using to EMGAS, Dh50 will be refunded. The gas refill fee will be at Dh86 plus VAT per cylinder,” the notice said. In an earlier notice, the management had said it is mandatory for tenants to change to composite cylinders. “It [composite cylinder] is non-corrosive and includes a gas detection system to ensure shut-off of gas flow in case of any potential gas leak. In an effort to protect our community, it is mandatory to change to LPG composite cylinders,” the notice said. The management added that the cylinders are a first in the UAE and have been approved by Dubai Civil Defence. As part of a safety initiative, apartments have been equipped with several safety features to protect residents from risks related to gas leaks. 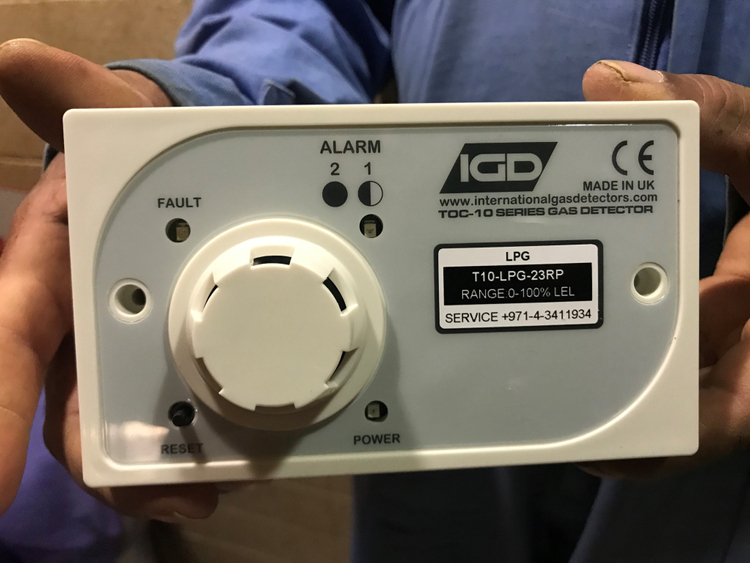 These include a gas leak detection system connected to Dubai Civil Defence through the building’s fire alarm system. “The LPG system provided in your house is also covered under a comprehensive annual maintenance schedule, provided free of cost, to ensure proper functioning and integrity of the system,” the notice added. An industry expert earlier told Gulf News that Al Khail Gate is the first residential community to introduce these safe gas cylinders in line with the updated UAE Fire and Life Safety Code of Practice that has banned traditional cooking gas cylinders in all new buildings. As per the code, new buildings should use a centralised gas pipe network or electric cookers. Using this new generation of lightweight cylinders is an alternative for existing buildings. In its August notice, the management announced that the registration fee will be Dh350 plus VAT. “This fee includes registration, one regulator and one filled-in cylinder. If you return your current empty cylinder that you are using to EMGAS, Dh50 will be refunded. The gas refill fee will be at Dh 86 plus VAT per cylinder,” the notice to the tenants said.